One of the many brands under the Microsoft umbrella is Surface. Surface offers a variety of devices for all kinds of users with screens designed to be viewed, touched, and written on in striking, true-to-life color. With a brand new training program launching, Microsoft was in need of a visual identity, brand guidelines, and asset creation for their Surface Training Program that fit not only under the Microsoft brand but also under the Surface brand as well. At the start of the project, the training program had no name. After dissecting the goals and objectives of this brand, Empowered by Surface was the new name given to the training program and launched the creative direction for piecing together a bold visual identity that exemplifies the form and function of Surface while providing a glimpse into the unique and individual user experience. 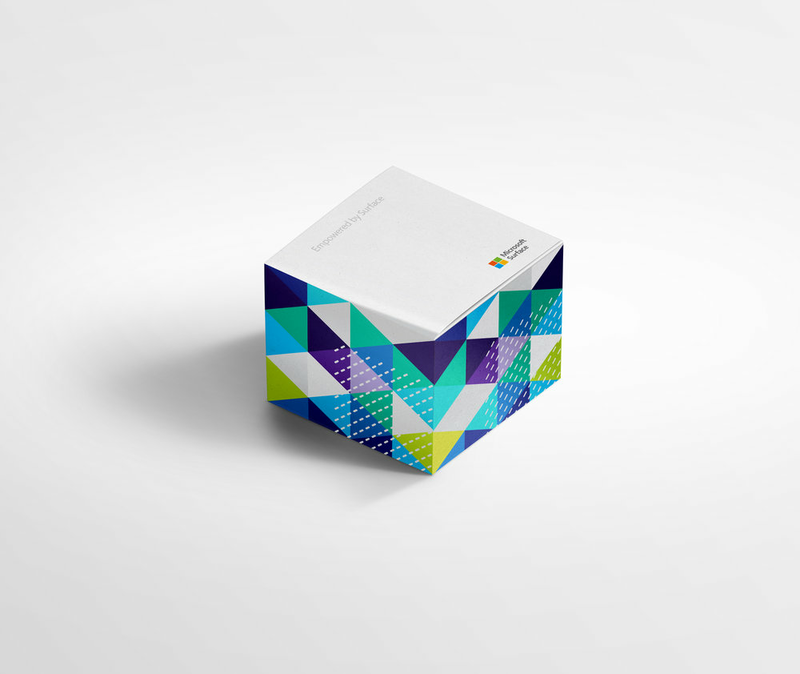 With thorough and very strict guidelines to follow, we had to create a visually appealing brand that fit under Microsoft’s brand as well as within the Surface brand. We pulled from the fresh, bright colors in Microsoft’s color library and played off of the iconic geometry used in the Microsoft logo. This was followed by created marketing materials to showcase the brand applied. With a fully established brand and marketing collateral ready to show, Empowered by Surface was ready for nationwide in-person training presentations targeting strategic customer opportunities and reseller partners.